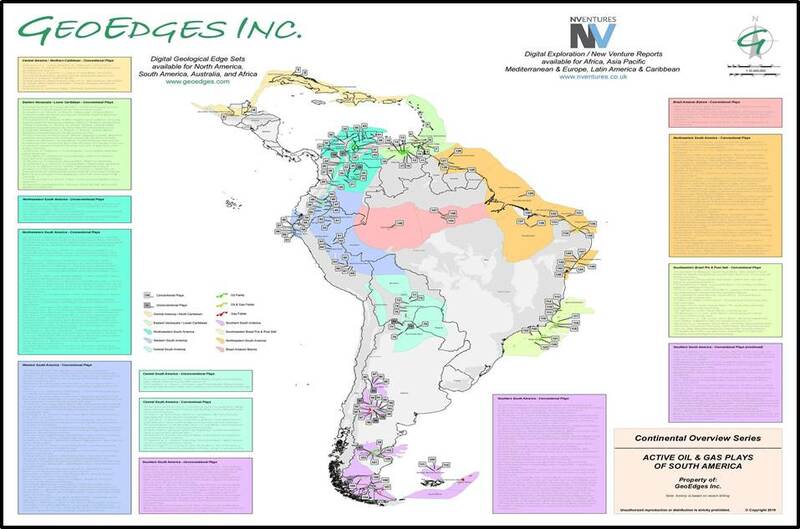 Hard copy map displaying 149 recently active plays in South America, based on recent drilling. Includes a brief description of play type, location, stratigraphy, and whether target is drilled horizontally or vertically. Map background displays sedimentary basins and oil and gas fields. Ideal for boardroom or common area. Map Dimensions: 42" x 54"